Your new and gently used books, your financial support and gift‑wrapping supplies are needed to enable The Camarda Bookcase to continue and expand its efforts to collect, catalog, gift‑wrap and distribute books to disadvantaged individuals throughout the year, especially during the holiday season. The Camarda Bookcase functions throughout the year and is not limited to distributing books only during the holiday season. 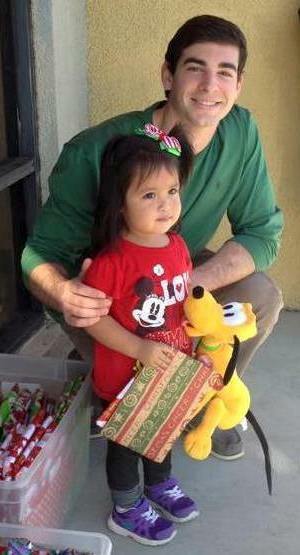 100% of your contributions go to the purchase of new books and gift‑wrapping supplies. We at The Camarda Bookcase are seeking sponsors who have proven their dedication to supporting literacy and building better communities. Sponsors like you. 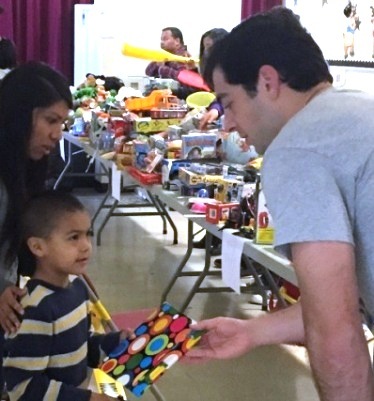 When you become a sponsor of The Camarda Bookcase, you make a difference on the individual and community‑wide level. Your help will not only provide free books to disadvantaged children, teens and adults wanting to read, it will give these individuals the opportunity to positively transform their lives and futures, which will, in turn, affect the futures of all of us. Administrator at the The Path of Hope Foundation. 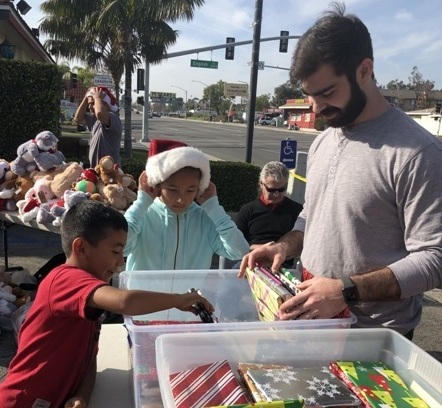 Michael Camarda distributing donated gift‑wrapped books in 2018. 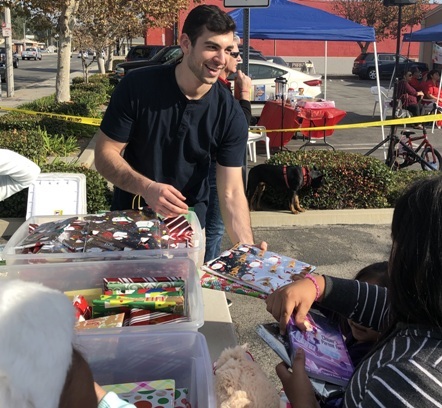 Nick Camarda distributing donated gift‑wrapped books in 2018. Foundation's holiday party in 2016. Santa Ana's El Salvador Community Center in 2015.